Elsevier has been analyzing changes in US trade sanctions laws and regulations affecting publishing, particularly for researchers who are government employees, with a view to clarifying laws and regulations to support a "country-neutral" view for scholarly and academic publishing. We originally wrote about this issue in May in an article titled "Trade sanctions against Iran affect publishers." In our view, science and society benefit from a "freedom to publish" model that operates outside economically- and politically-oriented sanctions laws. Authors and editors around the world should feel free to engage with each other in order to improve scholarly communications. Many authors, editors and scientific societies have written to us over the past several months supporting the "freedom to publish" views. 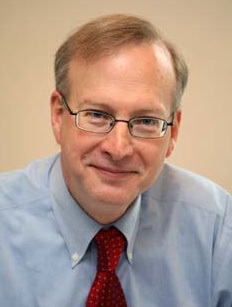 [caption align="alignleft"] Mark Seeley[/caption]Mark Seeley is Elsevier's SVP and General Counsel and Chair of the Copyright and Legal Affairs Committee of the International Association of Scientific, Technical & Medical Publishers (STM). He is based in Waltham, Massachusetts.